After releasing the world’s thinnest smartphone, Vivo has made its significant mark in the mobile device world. Now, the company has just announced a mid-range phone, the Y29L. The phone will be running Android 4.4 on Qualcomm’s Snapdragon 410 chipset. The 410 has a quad-core processor, with 64-bit architecture, clocked at 1.2GHz. The Adreno 306 will be in charge of graphics rendering, packaged with the Qualcomm chipset. The Vivo Y29L will feature a 5.0 inch screen with 720p resolution display. The primary camera carries a 5MP sensor, while the secondary front-facing camera has a 1.3MP sensor. The phone will be powered by a 2000mAH battery, meaning the phone is still kept Vivo-thin and compact. Network connectivity extends all the way to 4G LTE, with dual SIM capabilities. 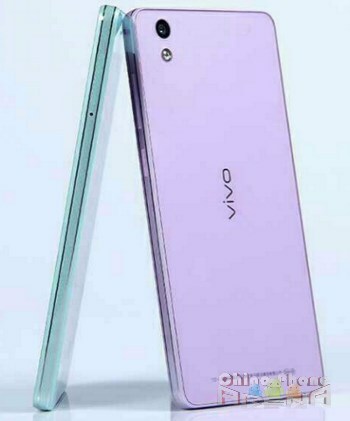 The Vivo Y29L will be offered in Black, White, Blue, and Purple color variants. The phone will be housed in Corning Gorilla Glass 3 panels on both back and front sides. The phone specs are very interesting and the unannounced price tag will certainly keep consumers on the edge of their seats.